Reason #6730591284 why I love Memphis: Downtown Dining Week. This glorious extravaganza allows patrons to savor three courses of culinary bliss at a fraction of the regular price. Frugal diners such as myself who could not otherwise afford such a meal get to play dress up, stuff their bellies, and pretend to live lavish for the evening. Count me in! With our mutual love of Italian, Capriccio Grille seemed a natural choice for Z and me. Being the responsible gentleman he is my boyfriend/chauffeur sipped on soda while I indulged in a glass of pinot noir. We started with two Panzanella Salads [Roma Tomatoes, Sweet Baby Bell Peppers, Focaccia Crouton and Cucumber Red Wine Basil Vinaigrette] which were tasty but nothing spectacular. My lover chose the Seared Mahi Mahi [with White Wine Lemon Reduction, Roasted Autumn Vegetables, and Yukon Gold Potatoes] while I opted for the Grilled Flank Steak [with Wild Mushroom Ravioli and Rosemary Salsa Bordeaux]. He loved his fish– which I wouldn’t touch– so I’ll take his word on that. As for my medium rare deliciousness….all I can say is divine. Dessert was Neoclassic Cheesecake Verrine with Late Berry Compote and Pistachio Madeleine. Yummy. I’m surprised we could even walk out of there we were so full and content. 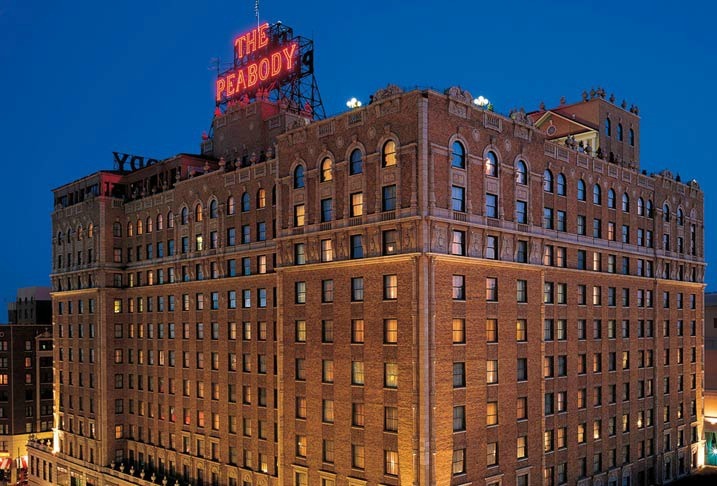 Capriccio Grille is located within the historic Peabody Hotel. It’s been years since I set foot inside the Peabody. Hearing my heels [which were taupe and made by Sacha London for all of you discerning shoe critics] click on the marble floors reminded me that I am truly home. Visions of twirling away at various Jingle Bell Balls danced through my head. Fancy meals at Chez Phillipe, Maris and John’s wedding night, rooftop parties, an unforgettable photo shoot with Megan, even the ducks waddling around– so many memories throughout my life revolve around this hotel. I’m home. I’m finally home. This entry was posted in Food, Maris- my soul sister, Megan Childers- favorite roomie, Memphis, Shoes and tagged Capriccio Grille, Peabody Hotel. Bookmark the permalink.